How will this impact the UK game, in particular the Premiership North, the integrity of the game and more importantly, the expectations for the season? Baker are a fifth tier University, with a small campus. The NAIA mainly serves those Universities that are significantly smaller than others. The NAIA normally provides 1 or 2 draftees per year to the NFL and far more undrafted players. This is largely due to the teams being less willing to take an opportunity on the players who they believe haven’t played in big time schools. Notably in 2016 though, Baker had five of its players selected for the All American NAIA team, something only one other team (Morningside) has accomplished. Notably in that 2016 All American team was Logan Brettell, whose Instagram showed him working out with members of the Leicester Falcons. Will this have an Impact? Before I speak about the impact these moves may have on the Senior league, it’s important to at least reference the impact on the BUCs league. Honestly, Derby University have an American Head Coach, UWE have their imports, Durham had Americans, Stirling had Americans by all accounts. Does it really matter? No, because the University league should be use to this by now. For that reason, I’ll choose to ignore the University Leagues. The best teams will get better, everyone else will eventually probably convince Americans to either help coach or gain a masters at their ‘Prestigious’ institution. The Premiership is slightly different though. Americans on premiership teams do stand out, in that they’ve played the game for a long time. But honestly, the current set up sees very few Americans playing for the simple reason, that there are paid leagues on the continent. Americans playing in the UK more than likely are here for work. Bury as an example had so many Americans because they were stationed at the nearby US Air Force base. Student Visas importantly have a maximum five-year length, which means that afterwards players would have to apply for work visas. 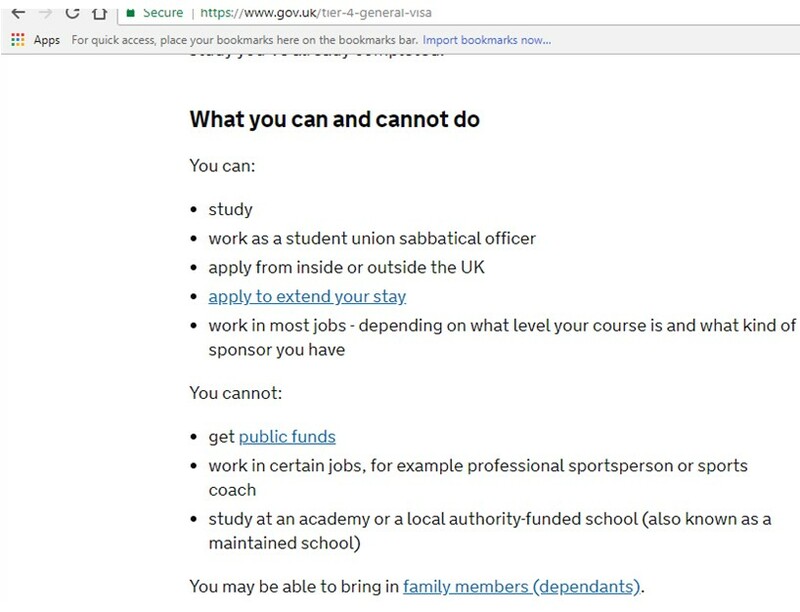 The biggest issue with players wishing to study and use their student visa to remain in the UK is that they may at no time work as a sports coach. So contrary to what many commented on the Double Coverage post as an example, it would be illegal for the Falcons to pay the students any money for their coaching. They would instead have to work elsewhere during the summer to make any money. Importantly, this means that it is unfair to say that those who play for the Falcons and Coach are doing so in any capacity except for voluntarily. 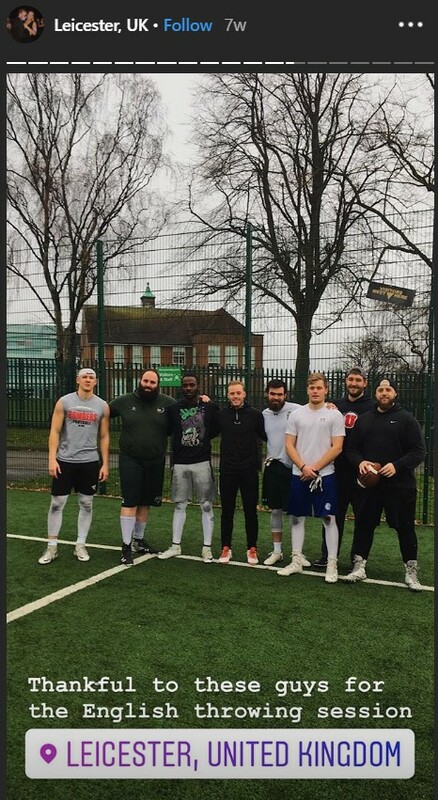 This should be viewed positively, as the American players who study at Derby will be helping to expand American football in the UK for FREE. In turn, the players themselves cannot be paid on a student visa to play football. So, having seen that the accusations of paying for players seems unfair, the next part to focus on is whether this will have an impact on what is expected of the Falcons. Following an extremely successful unbeaten season, they entered the premiership with perhaps low expectations from people like myself. A 0.500 record would be expected for a team that played at a high calibre, with maybe results swinging this way or that to either increase or decrease that. The Titans promotion and immediate entry to the post season was not a fluke, but was highly unusual. It would certainly have been a bit much to ask the Falcons to not repeat the Titans feat, by beating everyone (except maybe the Phoenix) to sit in 2nd. But offseason moves have happened since my first prediction. Tamworth’s Pat Daley and Will Hobbs have departed for Europe, meanwhile Manchester haven’t announced any major departures. Time will tell, but the Falcons have already added to their offensive roster. If they add numerous Americans, players from the Prem via transfer and an All-American QB, there must be an expectation that they will go from having no pressure to win, but begin to creep towards favourites. How this pressure will impact the team is yet to be seen, but with enough additions it’s hard to play the underdog. Will this set a trend? The last thing that I’m going to end on, is whether or not this will impact how other teams begin to think. Leicester Falcons have had a strong connection with Derby University for a number of years now. Current Head Coach Taylor Brown was a Falcon and Braves player, Noel Cassar was the Head Coach at Derby University before he was the Falcons’ Head Coach. Many of the coaching staff from Derby are also Falcons coaching staff, many of the Falcons players are Derby alumni. The reality is that the Universities can provide something the senior teams can’t. A way to import talent from abroad. These close links between teams and Universities has a number of benefits, it gives a clear progression from BUCs to Senior league. There are possibly a number of reasons why Derby University has been chosen over the two Universities in Leicester, but that doesn’t mean other senior teams can’t forge these links with Universities closer geographically. Will this also influence how BAFA chooses to enforce its rules? An import who receives financial assistance from their University will not be breaking any rules, but may impact how that team performs, possibly significantly. The other option is that teams simply weather this out as has always been the case. Many teams were known to take part in underhanded dealings and it isn’t hard to find players who will admit they were paid by organisations in the past. But even these teams saw a decline, with new fresh teams taking over. Only time will tell.